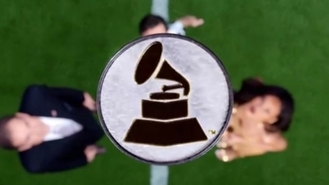 The 58th Annual Grammy Awards will take place on 15 February. The who's who of the music industry will attend the star-studded ceremony. Selena Gomez, Ariana Grande, Ice Cube are among many other top-notch celebrities who will present the awards. Taylor Swift, Justin Bieber, Diplo and Skrillex are set to perform at the biggest night of the music industry. The Grammy is considered the mother of all music award shows and was originally called the Gramophone Award. Keeping this in mind IBTimes UK has compiled a list of fun facts about the award show. 1. In order to recognise the best of the music industry, the Grammy was introduced on 4 May 1959. 2. In 1981, Christopher Cross achieved the rare feat of winning four Grammy awards in a single ceremony by winning the record of the year, album of the year, song of the year, and best new artist awards. 3. Considered as all-time music legends, the Beatles won eight Grammys while Elvis managed to win only three in his entire career. However, Kanye West has won 21 Grammys, more than the Beatles, Barbra Streisand and James Taylor combined. 4. The gold plated Gramophone trophy weighs 6lb (2.7kg). 5. American rapper, record producer and actor Snoop Dogg has been nominated 12 times for the coveted award but failed to win the gramophone trophy. 6. In 1989, Milli Vanilli became the first artist group to be stripped off their Grammy award as it was discovered that the songs in their album were not originally sung by them. 7. LeAnn Rimes is the youngest artist to win the Grammy. In 1997, she won the best new artist award for her song Blue when she was just 14 years old.